Alice Cooper is speculating about the lineup for the upcoming Guns N’ Roses reunion in a new interview with Rolling Stone. Axl Rose, Slash, Duff McKagan and unconfirmed others will launch a reunion run in April with two shows in Las Vegas, a stop in Mexico City and two appearances at Coachella. While the rest of the band’s lineup has yet to be revealed, Cooper is curious about the status of guitarist Izzy Stradlin, who played with the band from 1985 through 1991. "I'm just wondering why isn't Izzy in there?" Cooper tells Rolling Stone. "I don't know about drums, but certainly Izzy is viable. You'd think if Slash and Axl are working together – and Duff is one of those guys that gets along with everybody – then at least Izzy would be one of the guys who would be a shoo-in. "And maybe he is, I don't know," Cooper adds. "I don't what their setup is with him. But it's like not having Brian Jones with the Rolling Stones, if he were available." 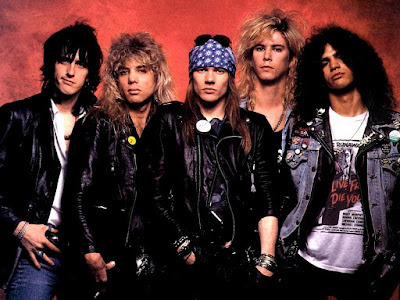 Rumours continue to swirl about the Guns N’ Roses lineup, with speculation that the recent exit of Richard Fortus and Dizzy Reed from the Dead Daisies to be part of "a momentous project in 2016" is a sign of the pair’s involvement in the upcoming shows. Either way, Cooper is looking forward to the reunion. "I had a feeling it was going to happen," he says. “Guns N' Roses is always unpredictable, which makes them exciting. I think those gigs will go through."